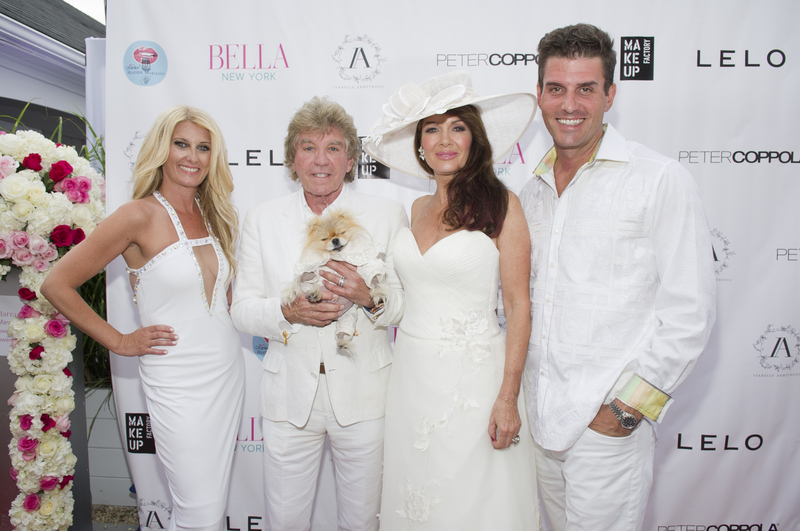 On Saturday, August 8, 2015, Real Housewives of Beverly Hills reality and cover star of our Summer 2015 issue, Lisa Vanderpump, hosted our annual Hamptons White Party at Beautique Southampton. Vanderpump arrived with her husband, Ken Todd, along with their adorable, pampered pooch, Giggy. Fellow Housewives Kyle Richards, Lisa Rinna and Eileen Davidson gushed over Lisa’s stunning cover shot before making their way to the red carpet. Notable guests in attendance: Countess LuAnn DeLesseps and Dorinda Medley (Real Housewives of New York), Dr. Stephen Greenberg, Gail Greenberg, Jonathan Doneson, Susan Doneson and Liza Sandler (BRAVO’s Secrets and Wives), Tabasum Mir (BRAVO’s The Singles Project), Ten Travis (Actor, Producer of Scandal), Kimberly Guilfoyle (FOX News), Jill Nicolini (CBS News), Dr. Robi Ludwig (TV Contributor/Author), Ramy Brook Sharp (Fashion Designer), Karen Koeningsberg (Socialite and Philanthropist), Duncan Niederauer (Former Executive Chief Officer of the New York Stock Exchange), Alison Niederauer (Autism Speaks), Michael Morrison (President of Harper Collins). BELLA Magazine is New York’s premiere subscription and newsstand-based women’s luxury lifestyle publication offering an insider’s guide to one of the most affluent areas in America. At BELLA, we spotlight the ideal that “Beauty is Defined by You” and offer a sophisticated combination of fashion, beauty, health, philanthropy, arts and culture, cuisine, celebrity and entertainment.